Our U14 Premier team continued their debut season in the DDSL Premier division and put in a very good team performance and battled hard against a strong Sharmrock Rovers side on Saturday. After 35 minutes the teams were scoreless at half time but Rovers took the lead in the second half. Our 14s didn't give up and pushed for an equaliser but with the last kick of the game Rovers broke to score a well worked goal and finish to make it 2-0 and take the 3 points. The 14s opening league game was another great game against Stella Maris which finished 2-2. Plenty of positives so far and no doubt the team will improve greatly by playing this level of opposition each week. Thanks to Rovers and their supporters for a great game. Lok forward to the away leg. 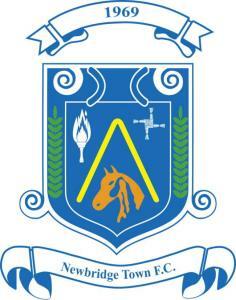 Well done Newbridge, remember we win, we draw or we learn. Keep working hard.